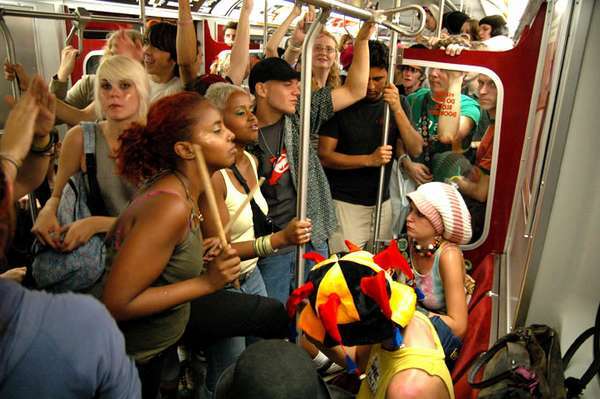 Subway parties have become a hip new phenomena. How do you launch a subway party? (1) Go on a media blitz promoting the party to as many friends as possible; (2) Get your costume and decorations; (3) pick the station and start time; and (4) party. Check out the pictures from this subway party in Toronto, aptly named the "Ride the Rocket" party, based on the City of Toronto subway advertising. The party was thrown by a Toronto couple known for publicity stunts, and published in DOSE, a hip local newspaper.